This article is a way to celebrate this great compact camera series, highlighting the amazing uniformity of these cameras, and the consistency of the photos that these different models can produce. Introduction The Ricoh GR series has a big enthusiast following since the first Ricoh GR1, released in 1996. A 35mm compact camera with a super sharp and wide 28mm lens, a very slim and sleek metal design, and advanced settings for the more demanding users. With these characteristics the Ricoh GR1 soon became very popular among photographers, especially for street photography: a powerful and small compact camera. Daido Moriyama used several GR cameras, and with his unique black and white photography high contrast style contributed to make the GR series a cult. This is the aesthetic the Ricoh GR is famous for, and its rich black and white is often what photographers aim when using the GR series today as well. The camera since its first release has had several different versions, but has remained always very consistent with its original look and feel over the years, even with the passage from analogue to digital technology. The lens of the Ricoh GR has always been the best signature of the whole series (there’s even a Ricoh GR lens made for the Leica M mount) a super sharp 28mm f2.8 (or 28mm equivalent for the digital ones) with a great contrast. 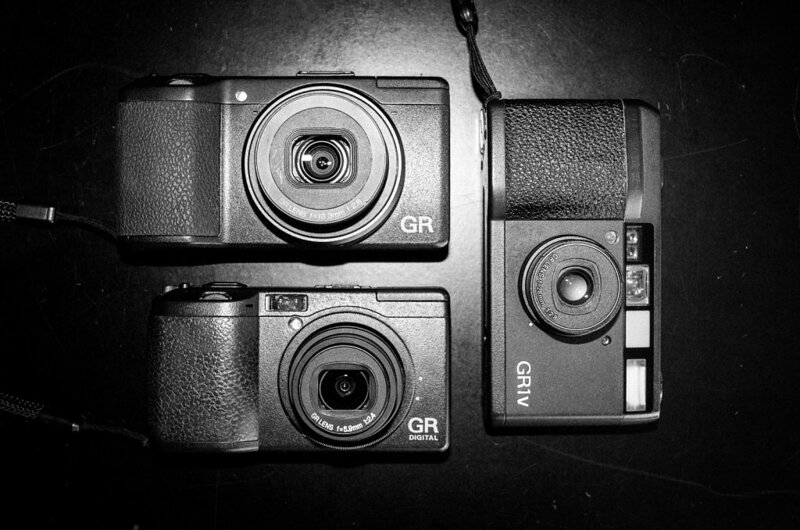 Ricoh GR1v The Ricoh GR1v was the last model after the GR1 and the GR1s (the last model being the GR21 with a 21mm wide lens) before the digital release. It’s the most complete version of the film series, with advanced manual controls: ISO, aperture priority (and dedicated aperture knob), program mode, adjustable snap focus, infinity focus, manual flash, exposure compensation knob, filter thread on the lens. Another neat feature (of all these compacts Ricoh) is the opposite advence of the film. When you insert a new roll, the camera advance all the film out of it, so that every time you take a photo the exposure goes back into the canister automatically. With this system the exposed film is safe from light inside of the canister, and if the back of the camera opens accidentally at least you don't lose the photos you have already taken. Ricoh GR Digital (AKA GRD, Mark I, 2005) This is the first digital version of the GR series. 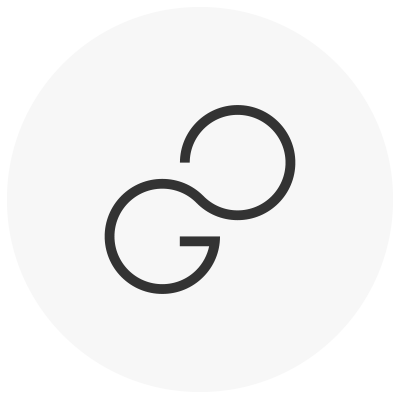 The sensors of the Ricoh GRD (8.1MP) doesn’t have a noise reduction filter, and being a CCD it reproduces a noise that is very similar to the film grain, especially in black and white. One of the reasons why the Ricoh GRD I (8.1 MP) is still preferred by many people today is that the GRD II and III both have a noise reduction filter always on, reducing the distinctive signature of the film-grainy texture of the GRD I sensor. 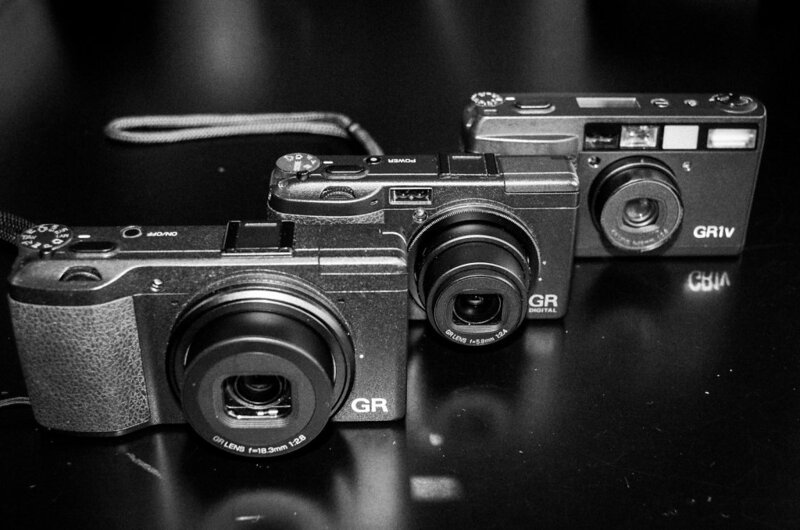 Ricoh GR (Mark I, 16MP CMOS, 2013) I bought my first GR in 2014: the Ricoh GR (CMOS, 2013). This was the first version of the camera with a large APS-C CMOS sensor with 16MP, a huge innovation for a camera of this size back then. A giant step-up from the sensor of the previous Ricoh digital cameras. The Ricoh GR Mark II (2015), the latest release, is basically the same GR camera with the embedded Wi-Fi as a new feature. The big CMOS sensor of the GR I & II lacks the anti-aliasing filter completely, making a great pair with the GR lens and its sharpness. The sharpness that this combination achieves is really incredible, and famous for its quality. Cheaper options The GR1 film series, and the GRD/GR digital too, is getting quite expensive to buy. A couple of cheaper options are the Ricoh R1 (actually the R1 is older than the first GR1), or the Ricoh GR10 (which is basically a GR1 without the manual options, but same amazing lens). 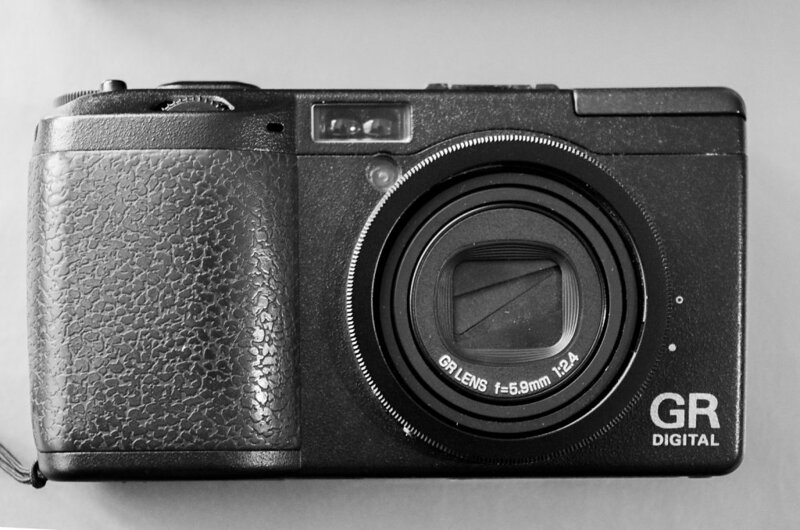 Another option might be the Ricoh R10, more similar to the R1 than the GR. Photos For the comparison I used a Kodak Tri-X 400 film on the GR1v, digitalised full-frame with my Leica Beoon system. For the digital cameras I chose in-camera black & white settings. The Ricoh GRD1 is really slow writing RAW, so I set it up in JPG only. I tweaked the photos in Lightroom as little as possible, just to keep a even exposure between cameras. Location, London: Hyde Park, Canary Wharf, Soreditch. These are automatic slideshows, you can click on the images to see bigger versions. See the title/caption for the camera model. Considerations Clearly the photos show the Ricoh GR is the sharpest one among the three cameras, but for my personal taste I still prefer the aesthetic of the Ricoh GR1v or the Ricoh GRD. The Ricoh GR is sometimes too detailed and razor sharp. In some cases the Ricoh GR1v misses the focus, and the Ricoh GRD can be very slow to operate. On the street, these cameras are much faster when used with snap focus options and small aperture settings. 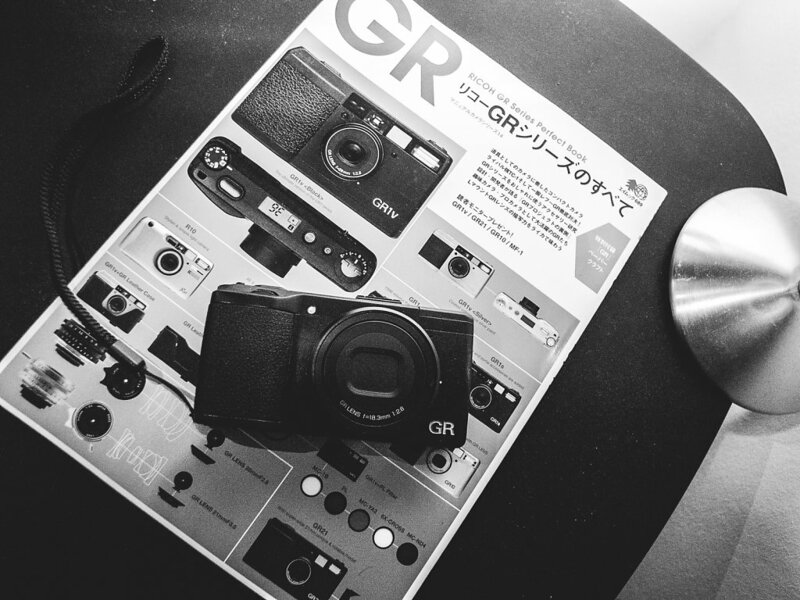 In late 2017 or in 2018 we might see a new version of the Ricoh GR, probably the Ricoh GR III. 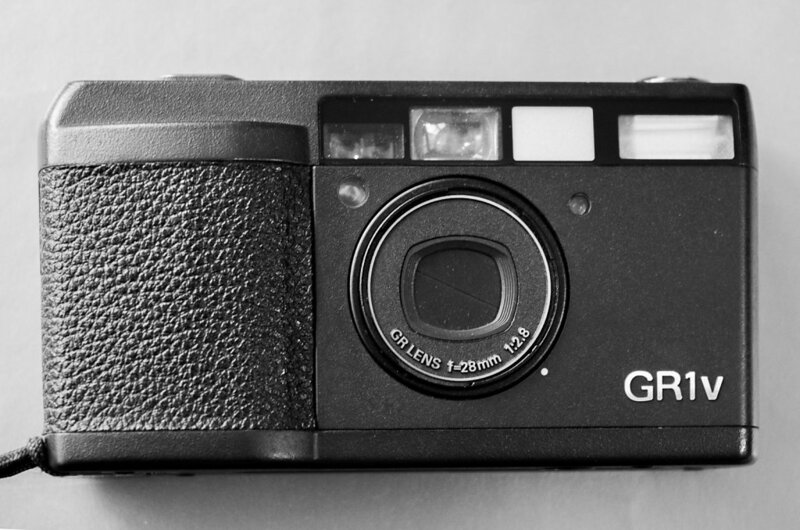 What I would like to see in a new GR is a weather sealed body (one of the biggest complain of the GR digital series is the dust on the sensor), an optical viewfinder and articulating LCD screen (that can be closed, too). 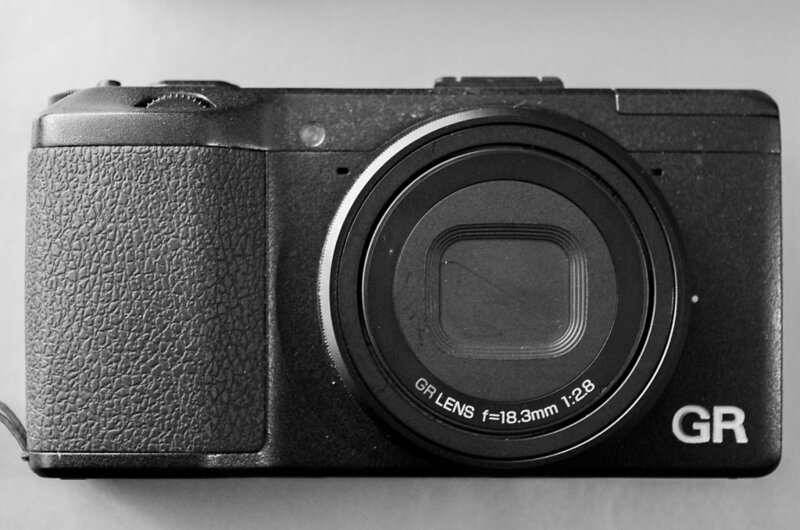 A touch screen would be nice, but just to reduce the number of buttons on the body, a là Fuji X-E3. I don't expect a huge update though, and probably it will be just a new sensor with more megapixels. Anyway, I do hope that Ricoh continue updating this amazing camera series that begun more than 20 years ago.